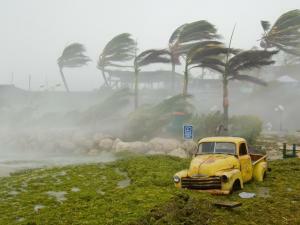 Tropical storms and hurricanes are a fact of life in Florida. We are not immune from the effects of a storm living in Central Florida. Strong winds, large amounts of rainfall, and tens of thousands of evacuees from the coasts can create a situation where normal veterinary care and supplies may not be available for days or even weeks! Preparation is key! Once the storm is sure to make landfall, it is likely too late to find the pet food, medications, and other supplies you will need. We strongly recommend that as you prepare for your family's well-being during a hurricane that you extend that care to your furry family too. Planning ahead is the best way to ensure the safety of your entire family. In the hope that all our clients and patients weather the storm safely, we have created a list of simple steps you can take to help ensure your pet stays happy and healthy during a disaster. We've also included links below that will provide additional information and tips. If it is not safe for you to stay in your home, then it is not safe for your pets either! Never leave them behind! 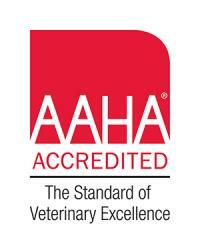 Without adequate preparation, you may not know where your pets will be welcomed. Please remember that rescuing an animal should never compromise human safety! Make sure that your pet has identification. Microchips work very well for Animal Services and nearly all veterinary clinics can read them, but during a disaster those services may not be available. A basic tag with your name and cell phone number (not your landline!) will help concerned citizens identify your pet. Additionally, make sure that you update your information with the microchip company. Update any phone numbers and addresses to ensure that your pet makes it home safely - especially if you have to evacuate! 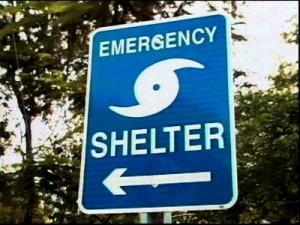 Know where your local shelters are and whether they are pet friendly. While some shelters are evaluated to ensure they can be made pet friendly, whether the shelter is opened and pets are allowed is a decision made by emergency management officials a day or two before landfall occurs. Listen to the media to know which shelters are opened and which are pet-friendly. This means that knowing the location of several pet friendly shelters may be wise! Pet-friendly shelters only accept dogs and cats. Should you have scaled or feathered family members, you will need to make arrangements for them ahead of time. If you plan on staying at a hotel, find out what their policies are ahead of time. Many hotels in Central Florida will be used to host evacuees from the coast, so it is important that you have several possible sites in mind. We do not host animals at the hospital during a hurricane or tropical storm! Stock up on pet food and medicine. You should keep 2-3 weeks of food and 3-4 weeks of medicine on hand. This is especially true if your pet is on a prescription food or has food allergies which might limit what diets are acceptable. Purchasing wet food will lengthen the shelf life of your supply and also help minimize your pet's water intake. Have a sturdy leash, harness, and a carrier. Even for pets that normally will stay right beside you, a storm situation will cause many animals to become overly excited or wander off. If you have to go out of your home shortly following a hurricane, keep your pet close. Don't forget the danger of fallen power lines, etc. Some pets may also benefit from a well-fitted muzzle. Even though your pet may never bite normally, an excited animal during a stressful situation may not act normally. You will also want to keep pets separate (especially cats and dogs) as the excitement may cause them to turn on each other. Carriers may be required at your shelter. Don't forget to label it with your and your pet's information! Have a plan for pet waste. 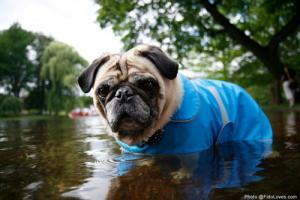 If you shelter in place during hurricanes and tropical storms, you should NOT allow your pet outside for ANY reason! This means that you will need to plan for them to go potty. Have an area in mind where you want to encourage your pet to potty. This might be the normal location for cats, but dogs may need some thought. Have doggie waste bags, newspaper, and enough cat litter to weather the storm. Some air freshener might help too since you can't open the windows! A heavy plastic bag that can be tied shut after depositing your pet's waste will help minimize the odor. Pet food for 2-3 weeks (see #3). Don't forget a manual can opener! Written instructions about your pet's care including feeding schedules, medical conditions, behavior issues, and medicine. A sturdy leash, harness, or carrier. Some dogs might benefit from a muzzle.